It seems like an impossible hurdle for the addict to contemplate a drug-free existence, but the fact that so many people do manage to conquer their drugs habit shows that it is achievable. Help yourself with the following tips. Accept the problem and commit to change. Denial plays a huge part in the addict’s continuing use of drugs, whether that drug be crack cocaine, heroin, marijuana or prescription drugs (which is an increasingly common problem these days). Once you have accepted that drug use is a negative force in your life and acknowledged the desire to change your behaviour, then the process of recovery is already underway. Close friends and family will undoubtedly go out of their way to assist you in the process of conquering your addiction. Your drug use may have alienated many people close to you, but other people will be keenly aware of how much your behaviour has been influenced by your drug use. Generally, good friends and family are extremely forgiving and will provide emotional support as you go through the process of drug detox and subsequent recovery. Distraction techniques such as meditation, physical exercise or taking up a hobby can help to deflect the initial cravings and will prevent a build up of negative emotions which may otherwise lead to self-destructive behaviour such as the resumption of former drug taking habits. Join some sort of counselling or support group. Support can make the difference between a recovering addict giving in to an unexpected craving and being able to cope with the desire and move forward regardless. The variety of therapies on offer means that there is bound to be an effective solution to every addict wishing to conquer his or her addiction. 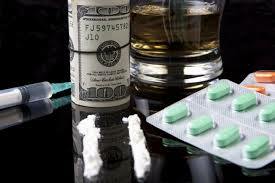 It is important to explore thoroughly the reasons for the addiction in order to deal with them effectively. Strategies can then be created and put in place to deal with moments of crisis and prevent a recurrence of the behaviour. Contemplating undergoing a drug detox program can seem a daunting prospect, but the decision to come clean about your addiction and the effect which it is having on your own life and those close to you is the hardest part. Once you have accepted that you need to change, you will find that there is huge support out there to help you achieve your goal. Chris Wilkinson writes regularly on health and wellbeing for a range of websites and blogs. Chris has personal experience of the destructive power of drug addiction within a family and understands the difficulties that can be faced from going it alone. There are helpful articles and links offering further information at http://www.findatreatmentcentre.co.uk/, which is a good starting point for addicts seeking help for a variety addictions, including drugs. Posted in: Fitness, Health. Tags: Close Friends, Cognitive Behaviour Therapy, Counselling, Crack Cocaine, Cravings, Destructive Behaviour, Distraction Techniques, Drug Addict, Drug Detox, Drug Use, Drugs Cocaine, Emotional Support, Free Existence, Group Therapy, Hurdle, Negative Emotions, Physical Exercise, Prescription Drugs, Recovery From Drug Addiction, Resumption, Smart Recovery.